Use your iPhone. It is the most used camera in the world and for good reason. It takes really great pictures and it’s so easy. Simply point, shoot, edit and share … all within minutes of pressing the shutter. It’s this ease and convenience that appeals to me most. Sure my professional camera shouldn’t even be in the same sentence as the iPhone but they are totally different tools. 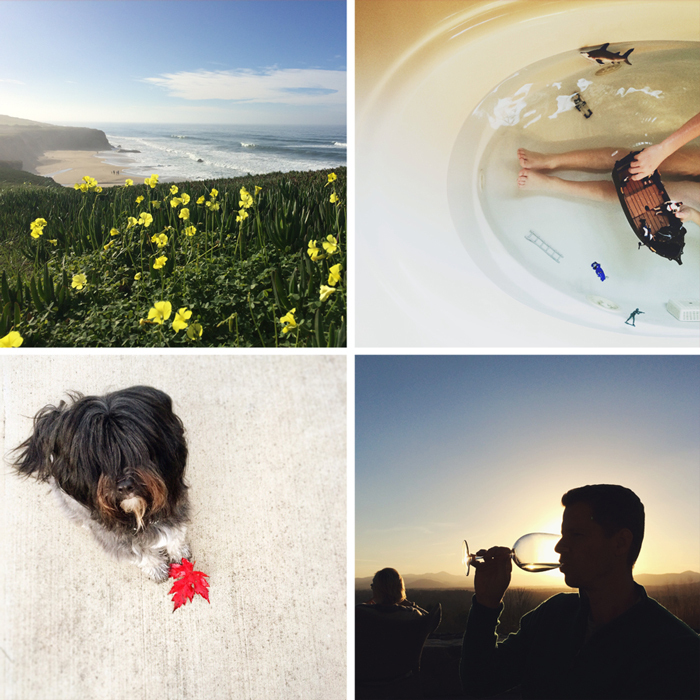 When it comes to capturing “happy snaps,” the iPhone rocks. Shoot in good light. It’s my number one photography rule, iPhone or not. It’s hard to make a photograph shine without it. Press anywhere on the capture screen to activate a blue square – a combined focus and exposure tool that gives you more control. Tap the square to grab focus on your subject and adjust your exposure. As of iOS 7, we can all now shoot in “square” mode. It’s perfect if you publish to Instagram. My favorite editing apps are PicTapGo and A Beautiful Mess. 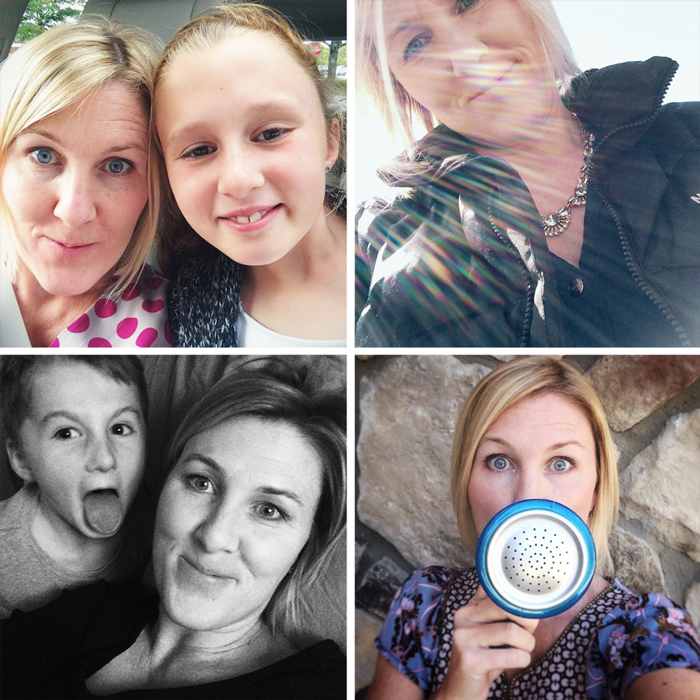 Commit to a family photography project and invite friends to join if you need support. I’ve done two photography projects in that last two years. My Project 52 was one picture every week for one year. I completed it with my Nikon D610, though a few iPhone images snuck into the mix. After that I started an Instagram 365, one picture every single day of 2014, 365 days strong with only my iPhone. I adored it. You can see my whole collection on Instagram at #abbemccrackenphotography365 or just check out my favorites in My iPhoneography Top 10. I’m currently on my second year of the 365. That’s how much I love it. Figure out how much time you have to document your family and commit to it daily, weekly or monthly. Publish it somewhere to hold yourself accountable. Yes, Elsa inspired me to just let it go. Let go of perfection and move on. Did I really just write that? My family is cracking up. But seriously, my Instagram collection is a mixed bag. Some are silly, some are beautiful; some are happy, some are sad; some are selfies, some are usies; some mark special occasions and some were taken at 10 p.m. scrambling to document just about anything. Jump in a selfie or two. Photograph things you love. We’ve all heard the phrase “we were there too” so really show your kids that you were an active, fun part of their everyday too. Last but certainly not least, a huge part of capturing your family is actually getting a professional photographer to help. At least once a year, you need to get every.single.family member in the picture. That includes you. I took a ridiculous amount of pictures last year and I’m in about 1% of them. Don’t be me. Take the pressure off yourself as family documentarian and hand over the reigns to someone else. NAPCP is an amazing resource for finding local family photographers. Every photographer here has to meet really high standards to even be a part of this national organization. Just click the “find a photographer” box above. I hope these tips help you start documenting your everyday. Each month, I make an Artifact Uprising Instagram book with my iPhone pictures. These books get a smile, a laugh, a story or a question daily. For me, that makes the scramble totally worth it. If you start a personal project, please tag me. I’d love to watch you shoot and grow. About the Contributor: Abbe McCracken is a natural light portrait and lifestyle photographer serving Charlotte, North Carolina and the surrounding areas of Matthews, Ballantyne and Weddington. She specializes in joyful children’s photography and modern family photography. For more inspiration, visit Abbe’s website, Like her Facebook page, or follow her on Instagram.